and scrutinize my squinting eyes; what spite! the glee displayed when you should mourn my plight. "New Math" has made the mile a longer run. why can't a birthday clemancy procure? I'm forty-nine? There's been a huge mistake! I'll stay my age and have a slice of cake. 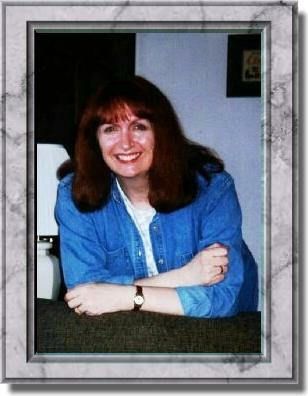 More of Donna Smith's poetry is posted at her everypoet.com Showcase page. Thanks for the page, Béla! Thanks for the frame, Rachel! Hey, look--no horns, no fangs! "You may call me a poet if someone writes it on my headstone." Site © 2002, Selendy Communications. Individual poetry pages copyright their respective authors.